Dr. Ryan R. Love understands the desire to straighten crooked or poorly aligned teeth — and the resistance to wearing bulky, uncomfortable metal braces to achieve results. For patients that want a beautiful smile but are worried about visible orthodontics, Dr. Love offers treatment with Invisalign, which is sometimes referred to as “invisible orthodontics.” Invisalign is an excellent option for anyone with minor misaligned tooth problems that wants to maintain the appearance of their normal smile while straightening their teeth. The Invisalign system consists of a series of clear plastic aligners, which gradually shift the teeth into the proper position and alignment by controlled force. The aligners are removable for eating and can be easily cleaned. Many people find them more aesthetically pleasing and comfortable than traditional braces with metal brackets and wires. The aligners are custom-crafted for each patient. 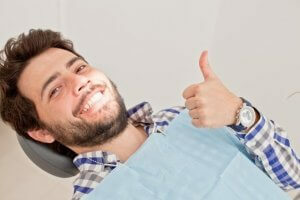 Dental impressions and photographs are taken of the patient’s teeth and used to make a digital projection of how the teeth can move incrementally into the desired position and alignment. Patients usually wear a total of 20 to 30 aligners for the upper and lower teeth throughout the duration of Invisalign treatment. Dr. Love evaluates all potential Invisalign patients on an individual basis to determine their specific needs and goals of treatment. If Invisalign is not a suitable option, he can recommend an alternate way to straighten the teeth or create the illusion of a more even smile. Invisalign treatment can be started as soon as a patient has lost all of their baby teeth; this is usually around the ages of 13 to 19, although Invisalign is not strictly for teenagers. 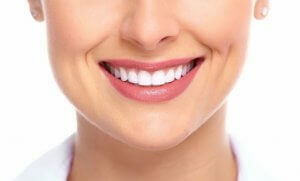 Many patients are young professionals, or older adults that feel self-conscious of their smiles. The first step to Invisalign treatment is for Dr. Love to gather information about the teeth’s current position. Photographs and dental impressions are taken and used to make a three-dimensional computer projection of the teeth’s movement. This projection maps out the teeth’s initial position all the way to their final desired position. The data is sent to the laboratory that fabricates the Invisalign aligners. The aligners are created in sets, and the first set is sent to Dr. Love so he can dispense them to the patient and check for comfort and fit. Patients wear the aligners for approximately two weeks, at which point they are swapped out for a new set. While in place, the aligners gently and gradually shift specific teeth, little by little, into the desired position. Each new set of aligners represents one more step toward a straighter and more beautiful smile. Although Invisalign aligners should be worn for the majority of the day (Dr. Love recommends 20 to 22 hours per day), they have minimal impact on everyday life. They are comfortable, discreet and easily removed when needed. Eating: The aligners should be removed to eat. Unlike traditional metal braces, food particles don’t get stuck in between the nooks and crannies of the aligners. There are no restrictions or foods to avoid. However, chewing gum should be avoided as it sticks to the aligners. Tooth Brushing and Flossing: The aligners should also be removed for tooth brushing and flossing. There are no metal brackets or wires to clean around. Cleaning the Aligners: Aligners can be easily cleaned with a special cleaning kit, or simply brushed and rinsed in lukewarm water. Many Invisalign patients are able to complete treatment in less than a year (although total treatment time depends on the specific case, orthodontic problem and severity). Compare this to traditional metal braces, which may be worn for two years or longer. There may be a short period of minor soreness or discomfort as the teeth adjust to the new aligners, but in general, Invisalign treatment should not be painful. There are no wires to tighten or brackets to scratch the insides of the mouth. Does Invisalign treatment affect speech? Some people do notice a temporary lisp as their tongue adjusts to speaking while wearing the aligners. However, this generally disappears within a few days. Invisalign aligners are made from a thermoplastic material. They are BPA-free, biocompatible and extremely high quality. The aligners resemble teeth whitening trays. How often does Dr. Love see Invisalign patients? Invisalign patients typically see Dr. Love every six to 10 weeks. At these appointments, he monitors the treatment’s progress and addresses any questions or concerns. The cost of Invisalign varies, based on the specific needs of the patient, the extent of their dental problems, total treatment time and more. Dr. Love can provide a customized pricing quote during a consultation at his practice. Insurance coverage varies by provider, so Invisalign candidates should review their personal coverage plan. Some plans offer coverage for Invisalign that is similar to coverage of traditional metal braces. How are Invisalign results maintained? Dr. Love consults with each patient individually about maintaining Invisalign results. He may recommend wearing a retainer that looks similar to the aligners during sleep. If you are interested in a straighter, more beautiful smile, but don’t want to wear traditional metal braces, Invisalign might be right for you. You could have straight, perfectly aligned teeth in less than a year! Schedule a consultation with Dr. Love to discuss your specific needs and goals. Call (509) 928-2525 or email our office today to make your appointment.